Not gonna lie: Shakeology tastes kind of nasty at first sip. But then again, most shake-like supplements taste that way to me. But you find ways to doctor the mix to make it tastier. The first flavor I tried was Vanilla. I picked Vanilla because it has the lowest number of calories per serving: 130. By the end of my 30 days of Vanilla shakeo, I felt that just adding 1/2 cup of frozen berries was enough to make it a meal I looked forward to post-workout. And I would love to some day replicate LYFE’s kale banana smoothie using Vanilla Shakeology! The next flavor I tried was Vegan Chocolate. This got rave reviews by so many people, that I had to order it. But I didn’t like it. The banana is a must to mask the taste of the chocolate. I’m a creature of habit. Once I find something that works fairly well, I stick with it. Mix all ingredients in a NutriBullet until blended (30-60 seconds). I add flaxseed for fiber, Omega-3s, and protein. I add cacao powder for antioxidants. When bananas get super ripe, I cut them into slices, and store them in a Tupperware container in the freezer, just for smoothies! The texture is smooth and creamy, just like a milkshake! I’m going to stick to Vanilla for now — it’s the lowest calorie, and most versatile. I’m going to try different recipes to change it up every now and then. Oh and one more random observation: the scoop for vegan chocolate is bigger than the one for vanilla. According to official Shakeology site, one serving of vegan chocolate is 43 g, compared to 35 g for vanilla. I had my last Shakeology today. After pretty much one year, in which I thoroughly enjoyed having a daily shake post-workout, I can no longer justify the price. That, and each serving contains 200mg of sodium, which I’m trying to cut back on to improve my blood pressure numbers. 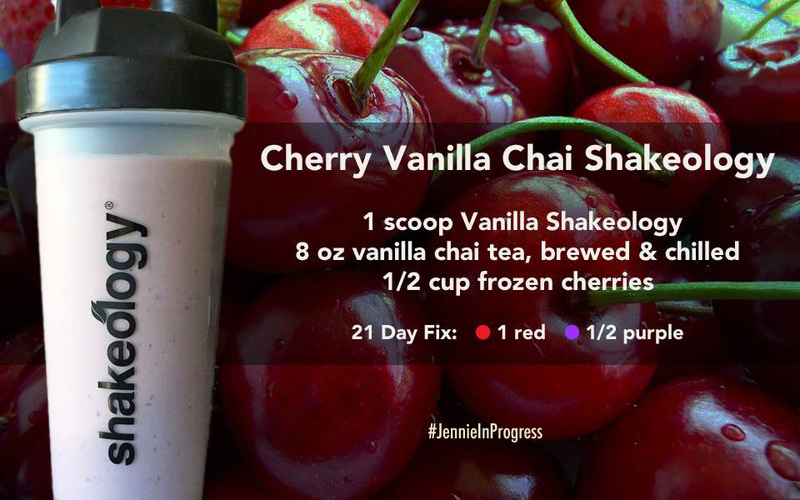 Love the creaminess, thickness, and flavor of this shake! Tastes like banana, sweetness (but no flavor) from sweet potato, color (but no flavor) from the spinach. Plus lots of potassium!